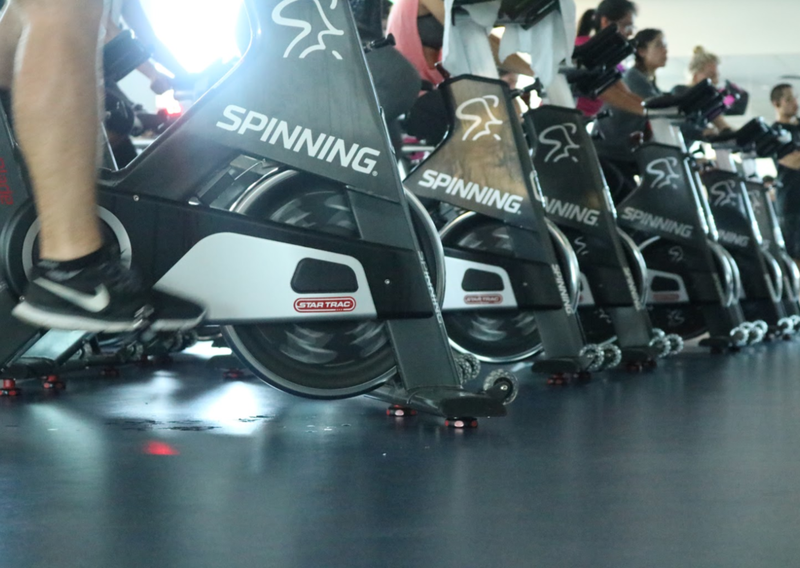 The special music for spin instructors is not enough for del Rossi who likes to create her own playlists. She always keeps her ear out for good tunes on movie soundtracks, commercials, iTunes and the radio. This way she said everything stays current and up to date and people come back for more. She believes it is one of the most important factors to teaching and has incorporated it into her classes for seven years. When this study was explained to the men’s volleyball coach at CSULB, Nick MacRae said that he uses music when he teaches a local Long Beach kids class called Rock-and-Roll Tuesdays, Although he prefers to use a breathing technique for the college team, he is open to experimenting. “I am trying to focus on breathing, but I have noticed that music will give them an extra boost.” He may try using music in the future, but he has always felt that the body should work on it’s own capacity when training. In the Jymmin study, 63 fitness machines were rigged to play up-tempo tunes while participants exercised. The music played when bikes were peddled and beats became faster after a certain amount of time was spent on the bikes. According to lead scientist Thomas Fritz, who developed the study, the majority of participants responded to this controlled music by being more involved and working out faster on video then when these same participants were only passively listening to music in the background on a different day where they noticeably grew sluggish and more tired while working out. So if you are feeling the same way, why not try something new. Best place to find upbeat music featured in several fitness magazines. Here is a way to keep yourself “Jymmin” to the most clicked on music while working out. Here is one app all about tempo high enough to keep endurance steady. This app avoids long gaps between songs and can be listened to offline. When you are in the middle of a run, the worst thing to happen to you is having to listen to a sucky song especially if it is not meant for acceleration. ROCKMYRUN will not slow you down because it will keep you going until you get done. This site allows you to find a complete list of gym DJs based on beats per minute BPM next to their title so you can cater to your workout sessions: kick boxing, running, yoga or spinning. It is $8.99 per month, but hey it is cheaper than a pack of cigarettes.